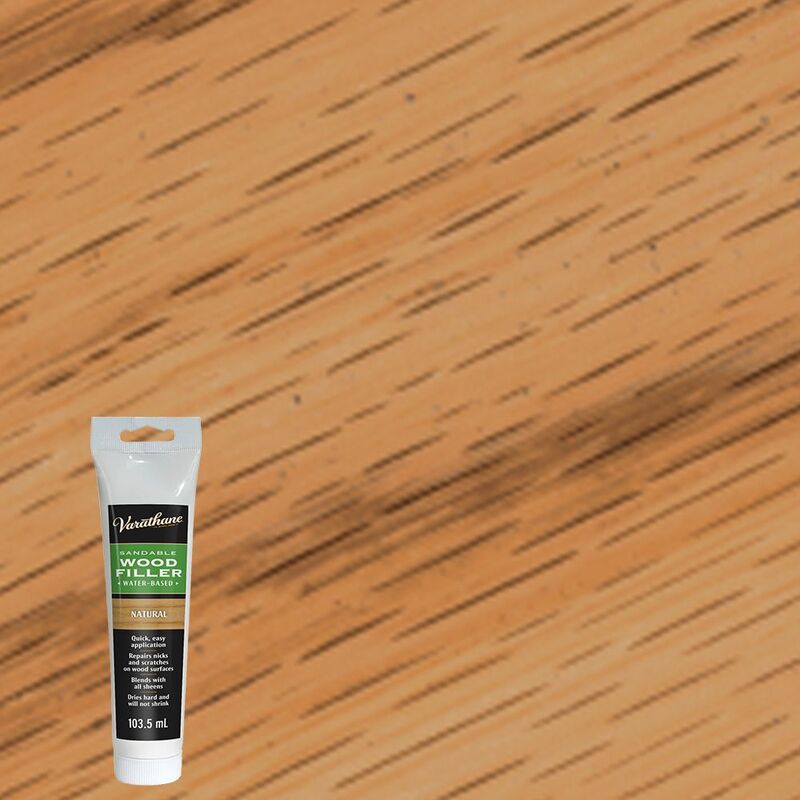 Varathane Wood Filler is a quick way to repair defects in wood. This high-solids formula dries hard, will not shrink and can be stained or top coated. LePage. Plastic Wood is a high quality wood filler containing natural wood fibres for a fine texture and true wood appearance. It dries to blend with most light coloured wood and can be stained, painted and varnished. Plastic Wood takes nails and screws without splitting. It is easy to sand and will not clog high-speed sanders. Plastic Wood is water resistant and can be used indoors or outdoors. All of your furniture care and touch-up tools are in one handy and economical kit. The Trade Secret Furniture Restoration System combines the most popular elements of the Trade Secret line in one place. From using the Light or Dark Scratch Remover to hide scratches on finished furniture to the four wood tone wax Fill Sticks to repair deeper type of damage, virtually everything you need for most furniture touch-ups is at your fingertips. Finish off any repair with the Furniture Polish & Cleaner and handy microfibre polishing cloth. Look no further, everything you need for your furniture care is right here. Restore your furniture to its original beauty with Trade Secret Scratch Remover for Dark Wood. Simply wipe on then wipe off to hide nicks, scratches and other surface imperfections. A great tool for quick and easy camouflaging of minor surface damage to finished furniture and floors without the mess of nasty chemicals or the hassle and cost of refinishing. At the same time, the Trade Secret Scratch Remover cleans and revitalizes the surrounding finish. Don't ignore it, restore it! Varathane Wood Filler Natural 103.5ml Varathane Wood Filler is a quick way to repair defects in wood. This high-solids formula dries hard, will not shrink and can be stained or top coated.